I have never been one for hair care products, but over the winter break I went a little but cray for all things hair, and craved all the hair care things, ever. I obviously didn't buy them all, but in the boxing day sales I managed to find this perfect little set.. The Toni & Guy Matthew Williamson Hair Meets Wardrobe bag came home with me, containing 3 rather generous trial-sized products at 75ml each, and I couldn't wait to spritz them all over my locks. The first item you get is the PREP Heat Protection Mist, basically, a heat protect spray. I rarely use heat on my hair, as when I do, the ends go incredibly dry and frizzy, and look horrible, but on NYE when I curled my hair, I used this and no damage was shown to my ends, and I will continue to use this whenever I blow dry my hair (which is a rare occasion). Next up, is the CLEANSE Dry Shampoo which I generally use on my second day hair when it is looking a little greasy, and this does the job of a dry shampoo so well. 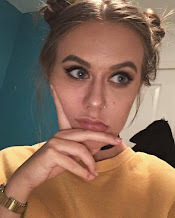 Gone are the days which I would use Batiste and end up getting powder on my fingers every time I touched my hair throughout the day, or being told that my roots are white, because this stuff leaves no residue whatsoever. I can imagine that once I have gone through this mini, I will be buying the full size product. 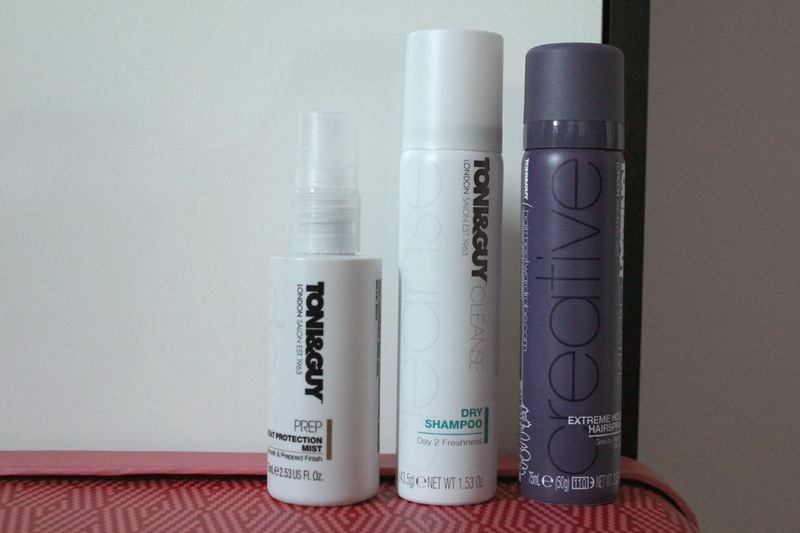 After trying these items, Toni & Guy is definitely a brand I am going to be looking out for more in the future. I have noticed that quite often they have offers on, so I am hoping a 3 for £12 comes up at some point again soon and I can stock up on some more products.